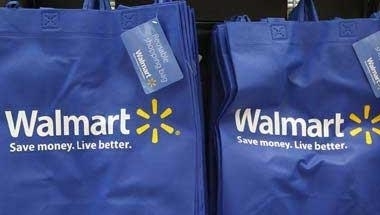 New Delhi: US retail major Walmart today gave India a thumbs-up, saying it's an important and long-term market for the company and is excited about its growth plans in New Delhi. "India is an important market for us, and Walmart is committed to this country and the market for the long term. I am delighted to be here and excited about our growth plans," Walmart International president and CEO David Cheesewright said in a statement. He further said: "I believe that Walmart is integral to 'Make in India' through the benefits we are delivering in India." "We are pleased with our established and successful cash-and-carry business in India, which is focused on serving India'skiranas and other small businesses. We are committed to partnering in India's economic growth by enabling the right ecosystem for B2B e-commerce through investments in people, technology and supply chain," he said. allowed up to 51 percent FDI in multi-brand retail, but with certain riders. Other than Tesco, no other foreign retail firm has approached the government for permission to enter multi-brand retail space. Cheesewright also launched Walmart's B2B e-commerce service in Agra, making it the 16th store to go online. Walmart runs 20 cash-and-carry stores under brand Best Price across 9 states and operates B2B e-commerce platform in seven cities in India -- Lucknow, Hyderabad, Guntur, Vijayawada, Rajahmundry, Jalandhar and Ludhiana. Last year, Walmart announced plans to open 50 wholesale stores in the next four-five years to widen its footprint across the country. Walmart, however, did not reveal investment details or its expansion plans. The company will extend its online platform in all its stores in 2015.